Hey guys!!! Do you have an optical shop? Want to grow your business in a wider range? Do you want to earn big just by working at the comfort of your own home? If so, why don't you try opening an online store through e-commerce? Online stores are popular nowadays for all business because people can easily do window shopping through the internet. Online businesses are the most convenient and easiest way to sell your goods. For a business owner is the main motive is to grow it must consistently reach new customers and communicate effectively with existing ones. Through E-commerce website you reach new prospective customers through search engines. Increase visibility of store promotions. 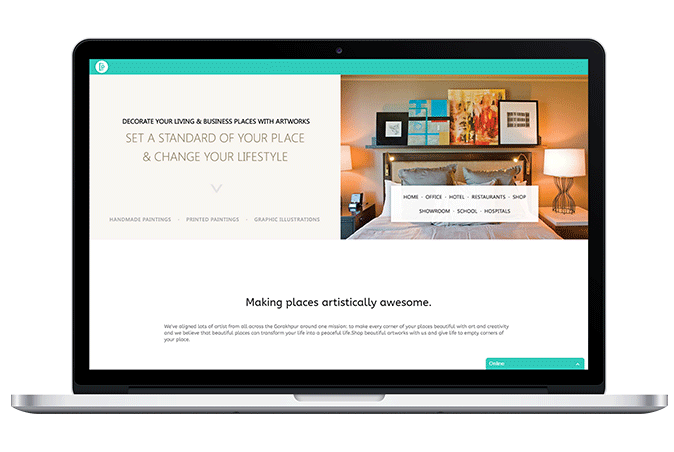 Allow prospective customers to shop where, how, and when they want. 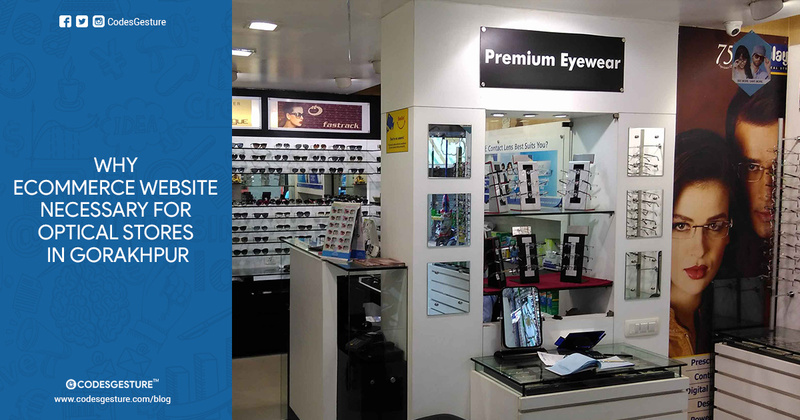 If you want an E-commerce website for an optical shop then contact to CodesGesture. Are you searching for your business a creative unique website for designing? Want to promote your business digitally then why you wander here and there when we are present here. We will assist you to build a unique website. 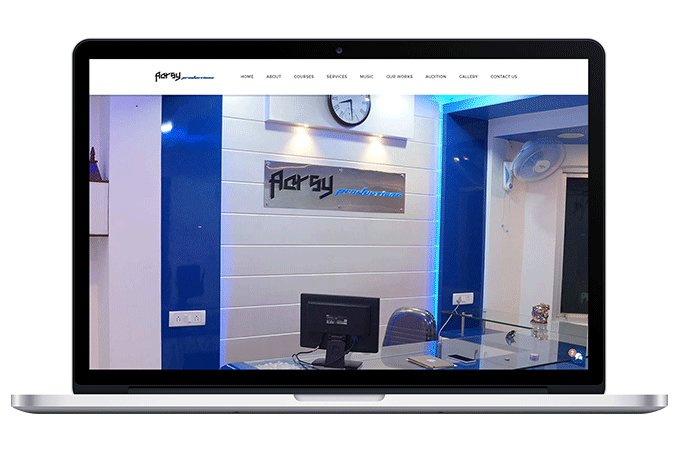 Are you looking for a company which provides amazing web designing services in Gorakhpur? Then we are perfect web designing company in Gorakhpur which has a skilled team of designers and developers and support staff. E-commerce is changing the way everyone does business, including optometrists. Instead of having to look through catalogs and make calls to your frame supplier, your contact lens supplier, and your lab, you have the option of visiting one Web site and getting everything you need for your practice. You can make side-by-side comparisons on merchandise as well as place all of your ordering at once. You can also get the latest product launch information, chat with colleagues, and fill out insurance forms directly through the website. Through the help of an E-commerce website, you give a direct platform to the customer where they find frames online. With the help of an E-commerce website, people ordering eyeglasses online starts with choosing your frames. This is usually the most time-consuming part of the process, as it involves the most personal choice. If people already have a frame in mind, then they can type it in the search bar and find the color what he/she wants. If they don’t have a frame in mind, choosing frames on the gallery of the website. You can showcase your variety of frames and glasses to let your customers browse the entire collection and choose the best from it. E-commerce website helps into online booking and manage appointments, schedules and much more. Your customer direct connects with you whenever they want. With Fully integrated Scheduling an Appointment, the feature allows maintaining customer data, prescription details, health-related information, service records and invoicing details all in one system. The atmosphere may be the most important feature to drive sales. The environment is a patient’s first impression of your practice and of you as the doctor. Great atmosphere is vital in building patient loyalty and goodwill toward your office. Patients who feel part of the practice will trust your staff’s recommendations in product options and be confident in their optical purchases. On an e-commerce website, you provide virtual try-on feature to the customer. It is the soul of any online optical store. Customers prefer to buy those products that they can “touch and feel” and try on themselves. Providing 3D option works as an efficient feature to counter the “try on yourself” option. Virtual Try on serves as a virtual platform to your customers where they can select and virtually try any frame. This will help them to get an idea with respect to their look with glasses on. Not only this you can also provide your customers to share their looks with different frames on various platform. Why make your customer wait to get their eye test done when you can easily provide this service to them at the comfort of their home. You can charge a particular amount of fee from your customer to perform the eye test at their home.so with the help of e-commerce website you give this feature to your customer directly. For adding this feature on your website you can contact some opticians for the same purpose. This feature makes your website as a one-stop shop for all eye related problems. Your customer can search for an eye specialist nearby its location, book its appointment, they can place an order for the prescribed optical from your website.